Iranian rockets passed within 1,500 yards of two U.S. and one French naval ship, a spokesman for the U.S. Central Command said in a statement, 13News Now in Norfolk, Virginia, reported Saturday. An unclassified video purportedly showing the rockets being fired was released by the U.S. Navy and obtained by media through a Freedom of Information Act request. The Iranian vessels announced by maritime radio 23 minutes prior to the launch that they would carry out the drills, Raines said. "Firing weapons so close to passing coalition ships and commercial traffic within an internationally recognized maritime traffic lane is unsafe, unprofessional and inconsistent with international maritime law," Raines said. A spokesman for the Iranian Revolutionary Guard denied allegations of the incident late last month, when media outlets first began reporting on it, and insisted that no drills were carried out at that time. "Publication of such false news under the present circumstances is more of a psychological warfare," Gen. Ramezan Sharif said. 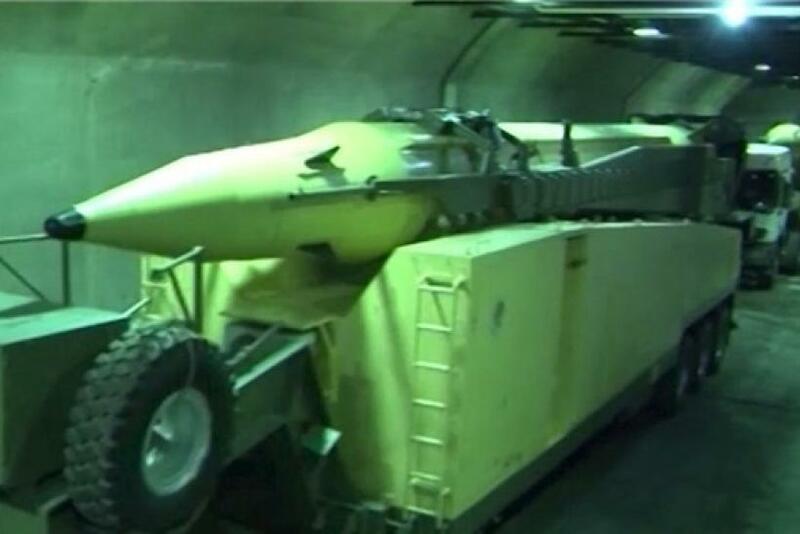 The video — which appears to counter Iran’s denial of the missile tests — comes as pressure has mounted for the Obama administration to impose fresh sanctions on Iran, after it test-fired two medium-range ballistic missiles and showed off a purported underground missile facility on national television. For some U.S. politicians, including Democrats, the news has drawn into question Iran’s willingness to comply with a landmark agreement, reached months ago in Vienna, to see Iran end its nuclear program in exchange for sanctions relief. U.S. Secretary of State John Kerry said this week that implementation of the nuclear deal was just days away.